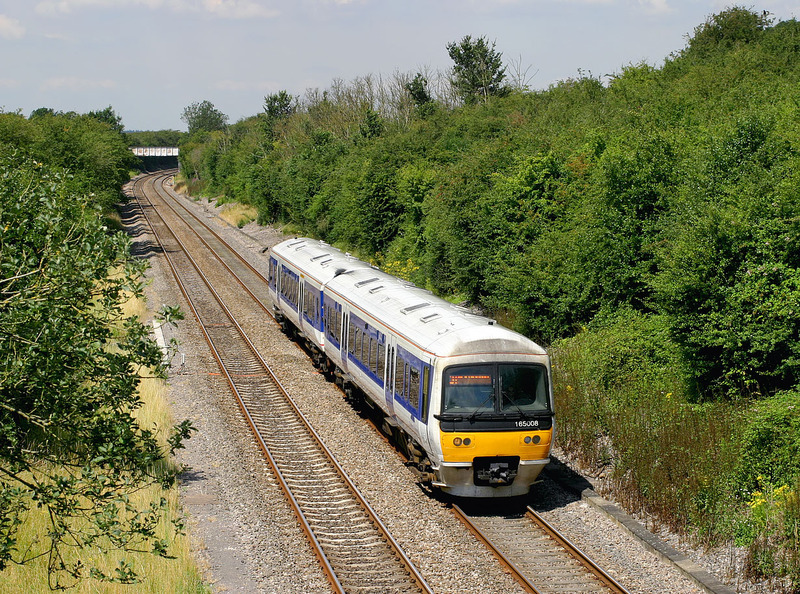 165008 is pictured in the Buckinghamshire countryside near Chearsley with the 11:40 Stratford-upon-Avon to Marylebone Chiltern Railways service on 1 August 2007. Note the revised headlight arrangement, with the former wide recessed area now largely filled with a flush blanking plate. This section of line was re-doubled in 1998 (it had been reduced to single track in the late 1960s) and the frequency of service has benefited enormously as a result.